Available in Paperback on Sept. 21. Why Must World Leaders Know Physics? Imagine it: You are the President and a terrorist has planted a dirty bomb in midtown Manhattan. What do you do? How do you react? If you don't know anything about Physics you won't be able to act quickly or wisely. But if you do. . .
Future presidents (and voters) can't afford to be ignorant about nuclear weapons. Physics for Future Presidents gives you the knowledge necessary to survive in today's political and increasingly nuclear world. What is the difference between a Uranium bomb, a Plutonium bomb, and a Hydrogen bomb? What are the real dangers of nuclear waste? Find out what you need to know about radiation and nukes. Physics is also critical to our understanding of Energy, Space, and Global Warming. 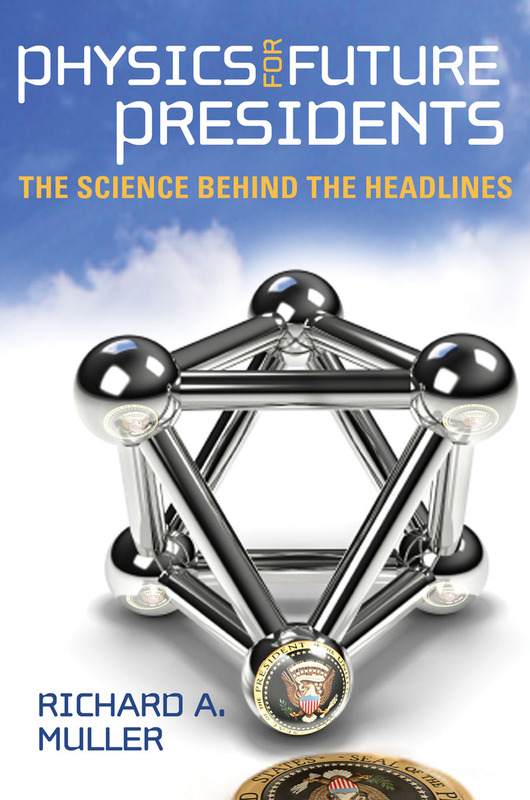 Read the excerpts, join the mailing list, and buy the book to learn the Physics for Future Presidents.